I’m baaaaaack! After a loooooong hiatus (finishing up school, getting a job, getting into grad school, etc. ), I’m back with more updates. 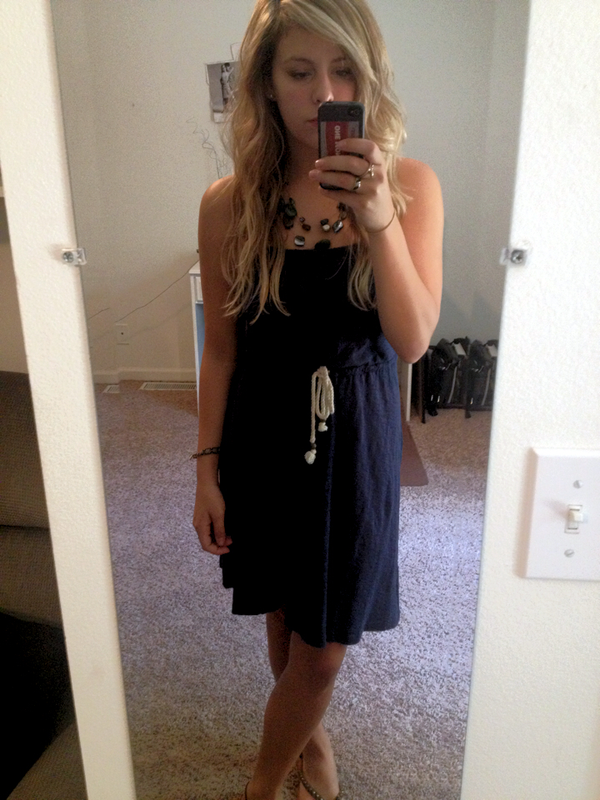 I wore this to my cousin’s bridal shower last July. The dress was simple and comfortable, but the necklace really stood out. Unfortunately, I can’t recall where I got each piece but I’ll list what I do know.